But is it a laptop replacement? Two years ago, Microsoft mocked Apple’s “iPad is a computer” claim in an ad for the Surface Pro 4. A couple of years later and Apple is keeping the same line, but with its new iPad Pro, it’s not quite as easy to argue against such a statement. Swapping the lightning port for USB Type-C has definitely helped Apple’s cause, even though its operating system doesn’t support external storage devices. There’s also the A12X processor that’s built on the 7nm process, along with the seven-core GPU. 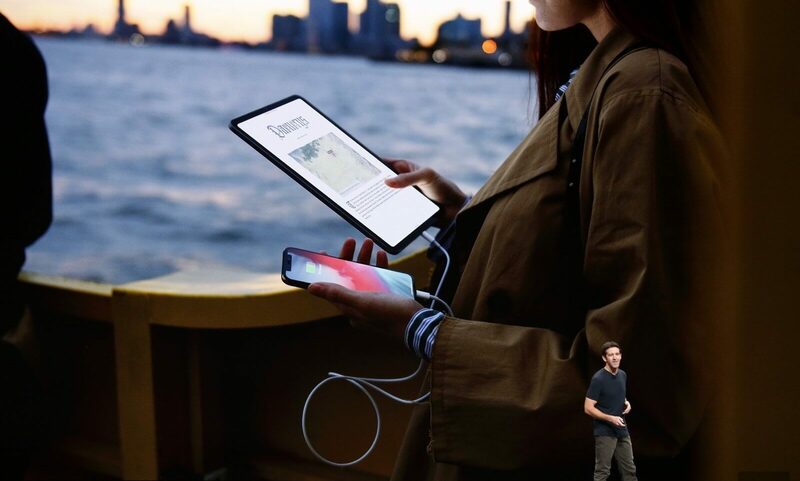 Apple says the new iPad Pro is faster than 92 percent of mobile computers, including many Intel Core i7 processors. The ad goes on to promote the iPad Pro’s ability to handle tasks traditionally carried out by laptops and desktops, such as photo/video editing and using it as a music studio. The device’s portability is also put forward as a major plus point. Most reviewers are big fans of the iPad Pro and say its performance is comparable to a laptop—it certainly costs as much as some high-end models. But because of its limitations, not everyone thinks it’s an ideal laptop replacement, including this Business Insider correspondent who returned his after 24 hours. But one thing the iPad Pro can do better than a traditional computer is fold in half.